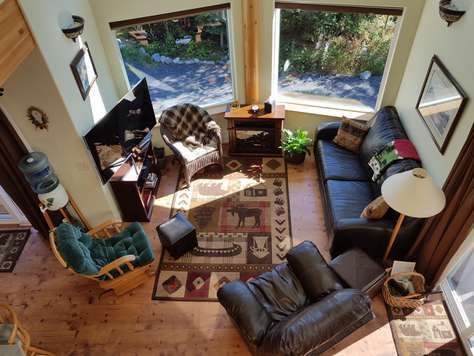 Centrally located, custom chalet with all the amentities of home - and then some. 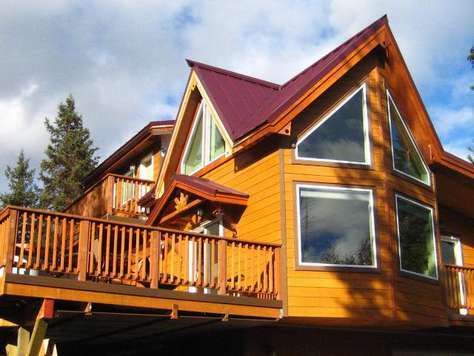 Great, relaxing home base for all your adventures on the Kenai Peninsula. This property has 1 Pull Out Sofa(s), 2 Twin(s), 1 King(s). My parents and I loved the house! It's close to Seward, across from beautiful Upper Trail Lake, and surrounded by incredible hiking (we did Exit Glacier to the end and were rewarded when the clouds parted!). Even though it's on a hill above the Seward Highway, road noise is minimal thanks to being slightly offset and separated by woods. My mom was especially a fan of the hot tub. Thanks for a great vacation, we'd recommend this place to anyone! Beautiful place! All as pictured and described....thanks! We really enjoyed the piece & quiet of the property. The location works well for going to Seward & Cooper Landing. We also liked the many hiking trails that are close by. We loved staying here. Very comfortable place with awesome view and well equipped with everything you need. 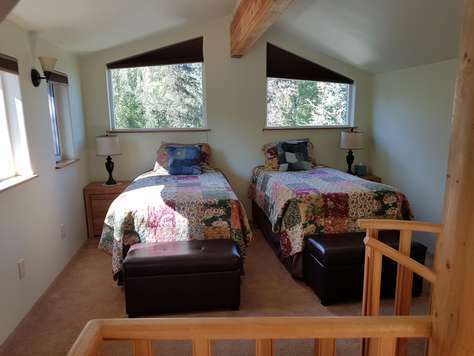 We stayed with out 2 girls - they loved their room in the loft! We enjoyed the hot tub after spending the day on boat and Kenai Fjords in the rain- also felt great after hiking Exit Glacier. We will come back to this location! We had a wonderful stay at the Eagle's Aerie. 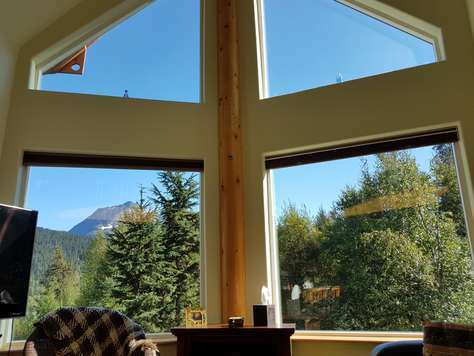 The house had beautiful views and felt very private, and it was clean and well-maintained. It was a great set-up for my family with three children. Parents with small children should be advised that the spiral stairs are a little tricky for little ones. 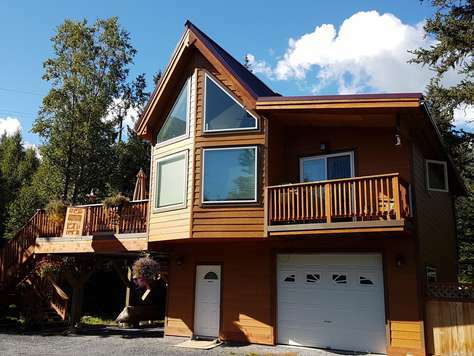 This was a perfect location for activities in Portage, Seward, and Cooper Landing, and the town of Moose Pass is very charming. The hosts were welcoming and helpful. We will hope to stay here again. Came down from Anchorage for a girls weekend and LOVED the property! The house was a great size, clean, modern, cozy and QUIET! The property is located off of the road, but there is no road noise. The hosts had kayaks for us to borrow and use at the lake across the street - it was absolutely beautiful! Lots of hiking to do close by- we hiked Carter Trail. This area is close to Seward, but does not have all the people congestion of Seward. We will be back. Great last minute getaway for the weekend. Hosts very responsive and care about their guests. Worth a few extra bucks for the privacy and the quality! The Eagle's Aerie was very clean, quiet and cozy! 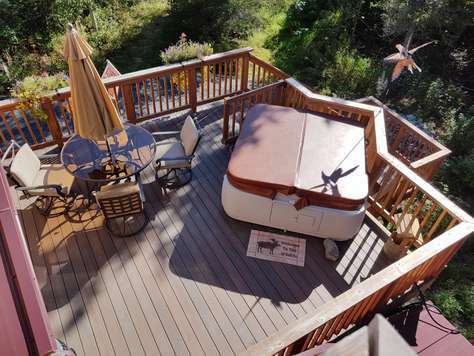 The setting is beautiful, nestled in the mountains with a great view from the hot tub. 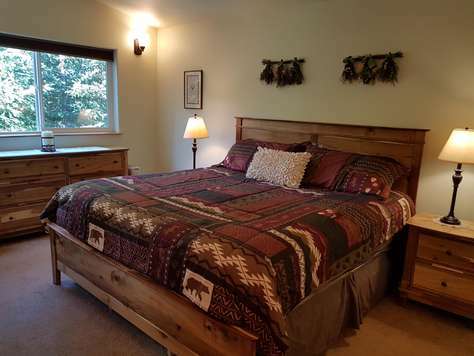 The bed in the master bedroom was very comfortable I slept great. I liked how clean and organized everything was in the rental property. I loved that they welcomed our dogs that means a lot to us as dog owners...THANK YOU! We will be back maybe in the summer to enjoy some kayaking in the lake nearby. 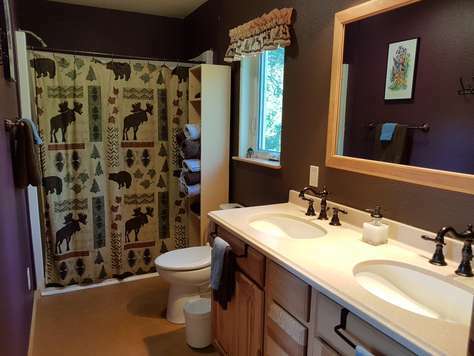 Great setting with the great pine trees, view of the lake, mountains, and stars at night! The fully equipped kitchen was fantastic, and the grill was convenient! Great get-away from town! 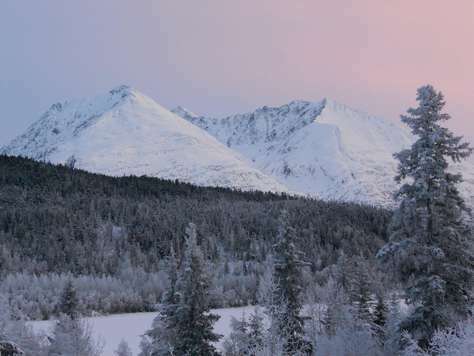 We had time to explore the surrounding areas between Moose Pass and Seward; typically we do not have time to stop and explore when driving from Anchorage to Seward, so this afforded us time to stop at places we usually do not have time for! Gary, Host, was great to work with! 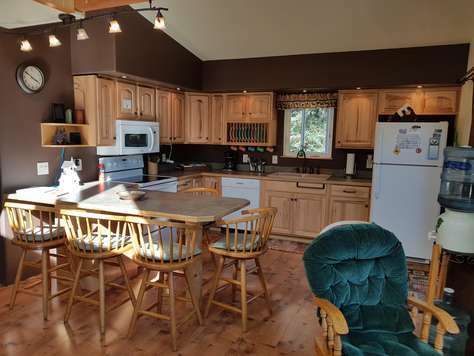 Great location away from it all. Private and cozy. Snow-capped mountain views all around. Walk down to the lake. Very wooded. Well equipped with everything we needed for a week long stay. The hot tub was great and shares the same mountain and forest views as the chalet. Not too close to anything (but nature and trails) (which we loved) but only a 30-60 minute drive to Seward (Safeway grocery store, movie rentals, restaurants, boat tours, aquarium), Whittier, Alyeska Resort, animal conservation center. A very small convenience store is just down the road and was valuable to us more than once. One cafe/restaurant is in Moose Pass. We SO enjoyed our visit and the chalet was a BIG part of that. We wanted more than just a place to sleep, but a place to relax and hang out. This place fit the bill perfectly.